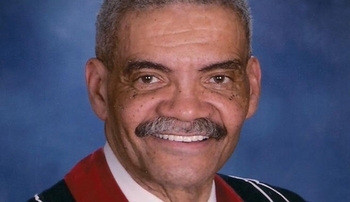 In recognition of Black History Month, The Reverend Darryl C. Eure will give a presentation titled "The Struggle for Equality in Omaha," at noon on Wednesday. Rev. Eure is a native of Omaha and has a lifetime of community activism in civil and human rights struggles in Nebraska. He also is the co-founder of Nebraska's first black theatre, "The Afro-Academy of Dramatic Arts," which debuted in 1968. Rev. Eure also lectures on the history of black people in Nebraska, as well as on the life and times of African-Americans in American history. He presents portrayals of The Rev. Dr. Martin Luther King Jr. and Malcolm X.
Rev. Eures' presentation will be held in the Durham Research Center, Room 1004, at noon. Re-imagining U credit will be provided to participants. Please register here to receive credit for attending the event. Carter G. Woodson is considered the founder of Black History Month. The first recognition of black history was held in 1926 for one week. Black History Month became a national observance in 1976. The president at the time was Gerald Ford.